When I first heard about the whole texture trend, I wasn't entirely sold on the idea but then the shimmers I tried convinced me so they got me really curious about texture cremes as well. The China Glaze Texture collection is a set of six bold and summery cremes, let's give them a closer look, shall we? Formula was consistent on the entire collection so I'll just talk about it here. They all applied really nicely and offered a lot of control. Slightly on the thick side but in a good way, they were almost completely opaque on the first coat. I used two coats and no topcoat in all of my swatches. I recommend using thin coats and waiting a good minute or two between coats to shorten drying time. Unrefined is a light blue based pink. I'm not really into this time of shade so I don't really like this one, independently of the texture finish. Two coats, no topcoat. Itty, Bitty & Gritty is a bright coral creme with pink undertones. Now this is a color I love! Absolutely stunning and such a happy shade. Two coats, no topcoat. 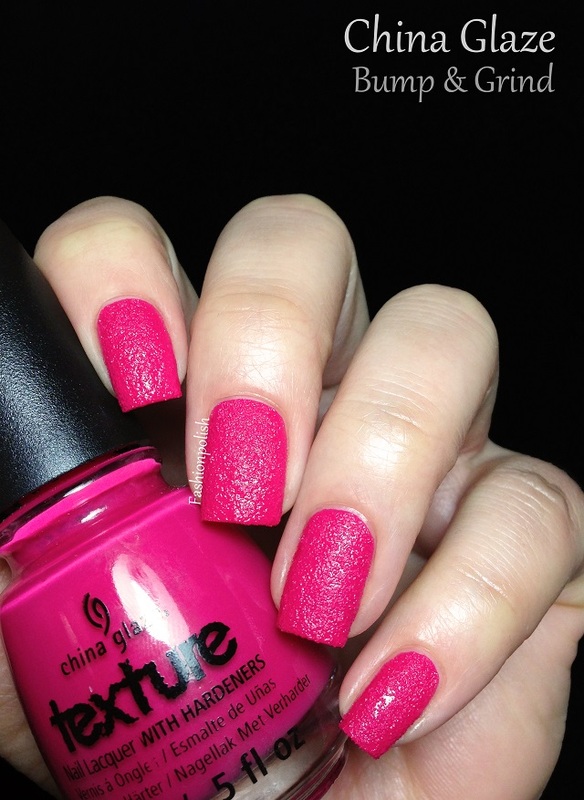 Bump & Grind is a darker pink creme with coral undertones. Another gorgeous color and probably one of the few shades of pink I really love. Two coats, no topcoat. 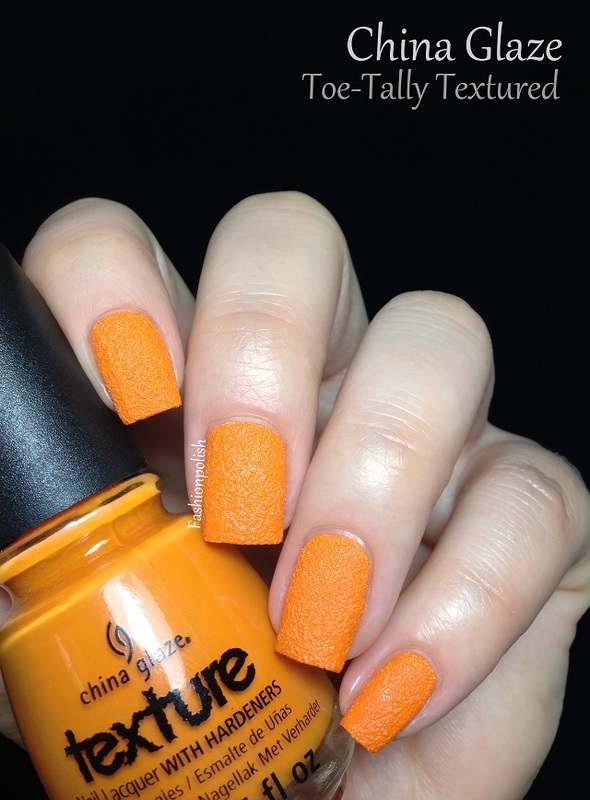 Toe-Tally Textured is a bright tangerine creme. I also love this color! I know, I'm so last year haha. Two coats, no topcoat. In The Rough is a pale yellow based green creme. I don't think this one looks good on me, so I'm kind of meh about it. Two coats, no topcoat. Of Coarse! is a bright blue creme. This is one of my favorites as well, perfect for Summer! Two coats, no topcoat. I honestly didn't think much of these texture cremes, I was afraid they'd look like popcorn ceiling but I must say that I love them! They're easy to apply, dry fast, barely require any cleaning and wear like iron. My top picks : Itty, Bitty & Gritty, Bump & Grind, Toe-Tally Textured and Of Coarse! Did you grab any of these? What do you think about the texture trend? I have been waiting for Ulta to get these, my three favorites are Unrefined, In The Rough, and Of Course! I actually really like In the Rough! Lol I think it looks great on you! That blue is amazing though! I haven't tried them yet but I am intrigued. The popcorn ceiling comment... pretty much my initial reaction to the idea of texture. Does the polish feel heavy or bulky to wear? haha same here! Thank you! your swatch are always amazing! I really like these! Especially the orange and the green. I grabbed all 6! The greenish yellow matches my Interchange Yellow Mini Cooper. I love them all and the way they wear. The texture even stays if you use a layer of Seche Vite.